If you are a professional operating in a creative industry like – photography, designing, interior or may be art and craft; then you may want to showcase your past work. To showcase your portfolio in a professional manner will help you build a brand and a renowned network, which is essential in times today. So, it would be best to make a portfolio with a beautiful interface and scannable data, and for that we today collected some of the best free portfolio websites. With these portfolio sites, you will be able to make an impression on clients, and it does not require too much time. All the code and design is available on these portfolio sites, you just need a few clicks (upload your data), and your professional portfolio will be online. If you have any other tool that are better than the list below, then please leave a link to that particular portfolio website. With the help of Carbonmade, you can make free online portfolio. Carbonmade has hosted 500,000+ portfolios and 800,000+ pieces of work posted on the site. It is one of the best place to display your piece of work. Carbonmade has a paid subscription too. It is simple, user friendly and coding knowledge is not required. Coroflot is a massive site. Billed as the largest and most established site around the world. Launched in 1998. 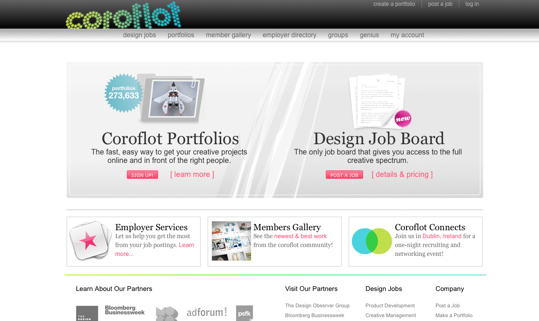 Coroflot hosts 1.4+ million creative. No membership / application/ invites/ processes requirement. Coroflot has an excellent and well integrated job board. 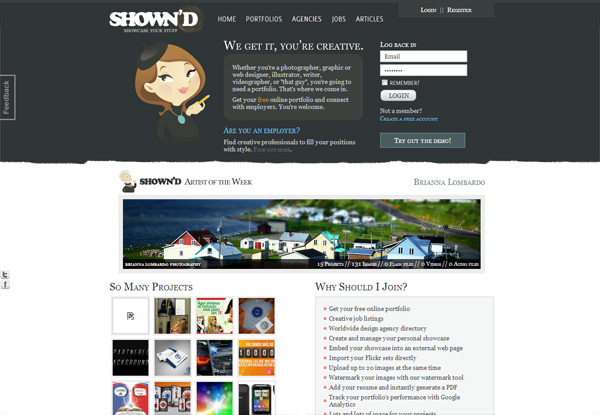 Shown’d is a wonderful online portfolio-hosting site. You can even embed you work on external web pages too, you can put watermark on your work, supports a multi-image upload feature, it mans you can upload 20 images at the same time. Dribble is an excellent place where the designers share their creative piece of work, like small snippets, current project and process, with each other. It provides an opportunity to different designers to discover a piece of creativity from around the world. There is a requirement of a Pro Account to access. Getting an idea from other designers to shape your portfolio. Cargo offers a sunning way to create a free personal websites with their own URL, before that you must be invited by someone. 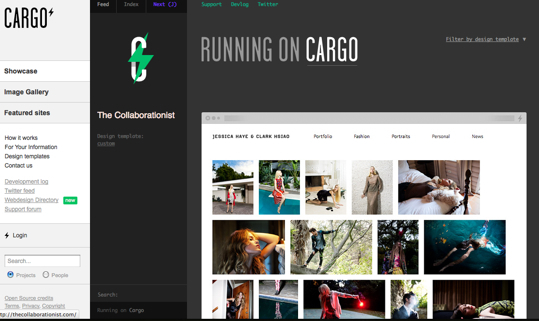 Cargo also awards membership to the people who contact them and share their work. Cargo works in both sides, a front side deals with general public and the back side, which connects the fellow Cargo members. deviantART is a big online art and design community. It has a membership of 24 million people. 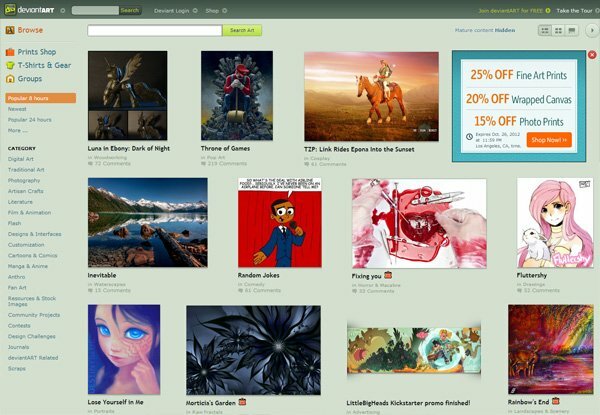 In simple world it is not a dedicated portfolio-hosting site, but you can create devianteART profile page and use it as an online portfolio. Dunked is a simple to use solution and above all it doesn’t require coding knowledge. You can create a site of own, upload images, integrate your audio/video files, add a retina enabled responsive template, and customize it to your taste. 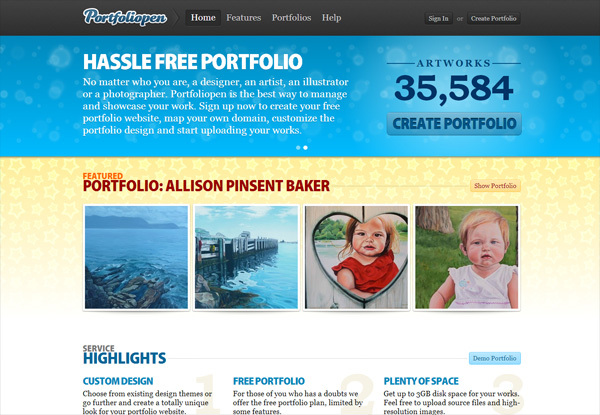 Create and host online portfolios using PortfolioBox . PortfolioBox allows custom design and won’t have ads, but limiting at maximum of 50 images. There are many design templates, and you can mix-and-match to create an attractive portfolio. Viewbook showcase the work in a flexible and beautiful way. It enables you to manage and shoowcase your portfolio. The Viewbook manager organizes the data. You can also download hi-res images and presentations, and mobile galleries are a useful feature. 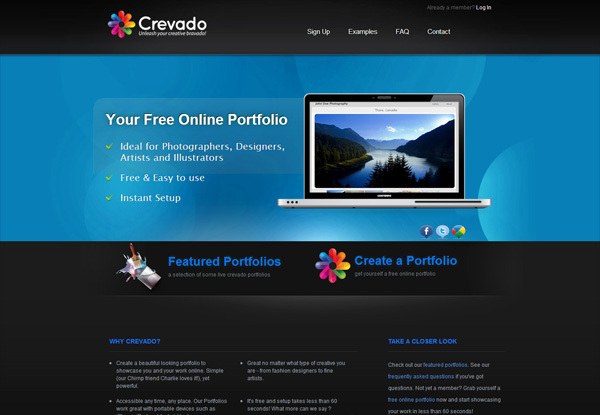 Crevado Portfolio is a free online portfolio-hosting site, allows you to host 30 images. Crevado Portfolio also has paid subscription too with some more features. 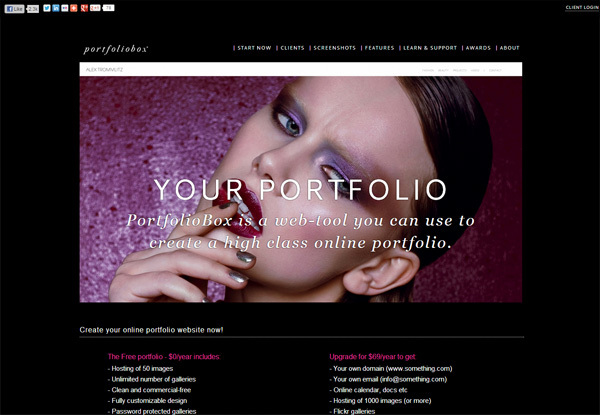 By using Portfoliobox it is easy to create and edit the content to produce your own portfolio website. It features pages, a blog, galleries, an ecommerce store and video capabilities. There is no need to know the coding and even your hosting is included. 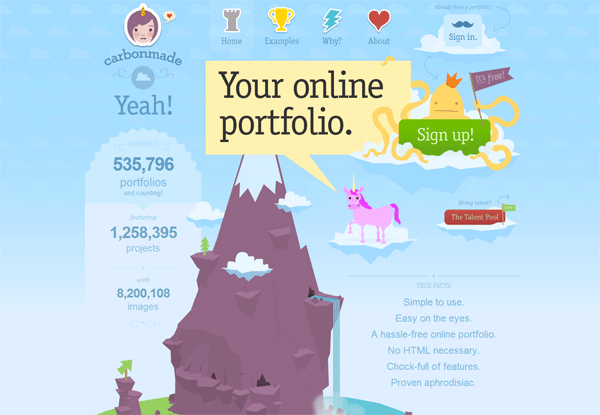 Portfoliopen is a hassle-free online portfolio-hosting site. The free version allows you to upload 10 images, and it provides 10 MB space. The paid version comes with more bandwidth and ads free portfolio, etc. 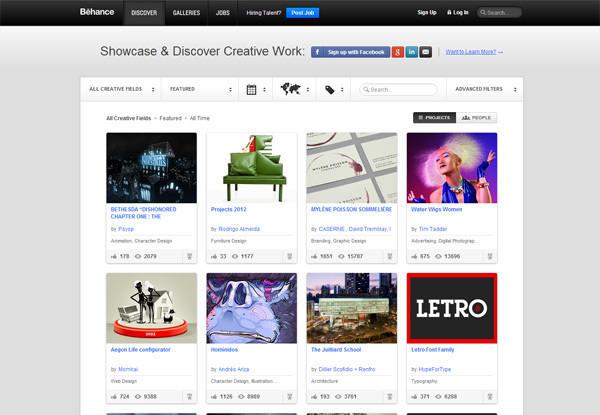 Subfolio is made to create and share the creative work online. Provides an elegant, practical and fully customizable web interface. Flexible, super fast, and is suitable fr freelancers, agencies, studios and enterprises. Subfolio instantly turns the content into a website by reading the file system. It is a lightweight PHP5 file browser app with no database required. 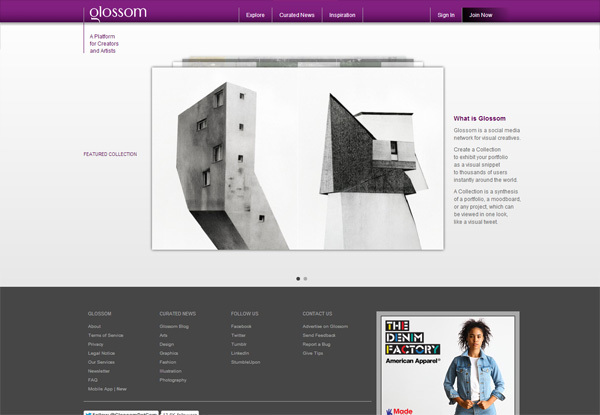 Glossom is a social media network for creative professionals. Using Glossom, you can create Collections like a visual tweet. Design:related offering the studios, photographers, designers, illustrators and artists a creative hub and community, You can share relevant, smart and inspiring content by uploading high-res images and manage your portfolio from one dashboard. 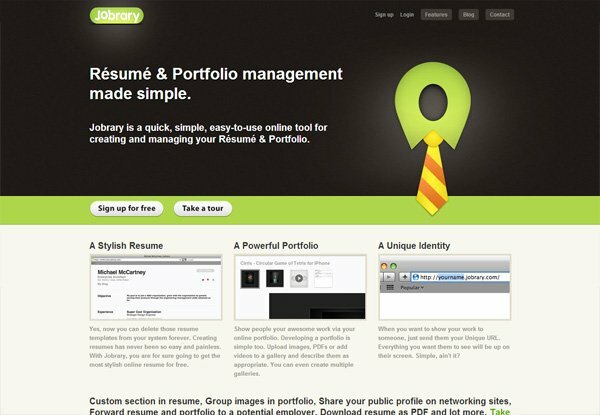 Jobrary is a portfolio and online resume-hosting site. This software product is developed by firm Techtinium. It is very simple to use and the work will be presented as slideshow gallery layout. With Krop, you can build an attractive portfolio. Simple tools arrange the beautiful tools., an optional resume. The style gallery is uploaded and often, the respected brands use the Krop to search for creative talent. Brushed makes portfolio making easy, with media support for high-res images, Youtube, audio, and Vimeo. It has 25+ base gallery styles options and features fully customizable galleries. There’s also a blogging system, Etsy support, cloud hosting, and retina display support. 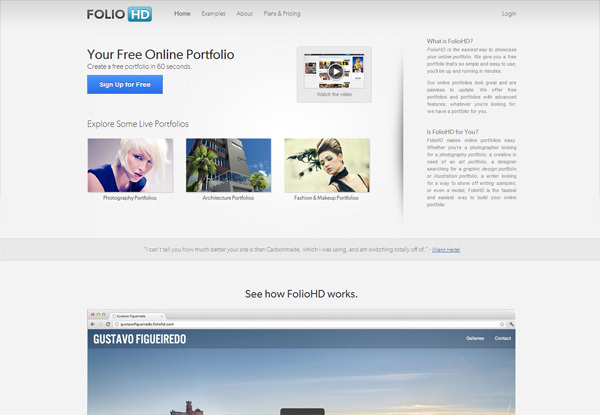 FolioHD is a free online portfolio-hosting site. FolioHD gives basic design options and 36 uploads in the free version while, in paid version, it offers full-screen theme, contact form, and more.